The latest entry in Nintendo’s long-running kart-racer series, Mario Kart 8, will launch on the Wii U in spring 2014, Nintendo’s Satoru Iwata during this morning’s Nintendo Direct. 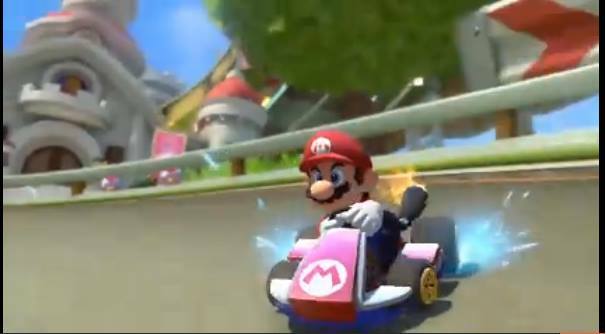 The game will feature online multiplayer modes and implement Mario Kart 7‘s underwater racing and Mario Kart Wii‘s motorcycle racing. A new antigravity mechanic will also be present in the game, which manifested itself in the trailer with racers taking alternate routes on tracks.